When you have that chocolate hankering and want to stick to your Low Carb diet~ Look no further! This is such a quick and easy fix, hubs didn’t guess the two ingredients, no, he just inhaled it and talked about when he was a boy, his sister used to make pudding. Only 2 Ingredients needed for this recipe! Maybe it is just too simple to write a recipe post about, but we loved it, so I am going to share with you! 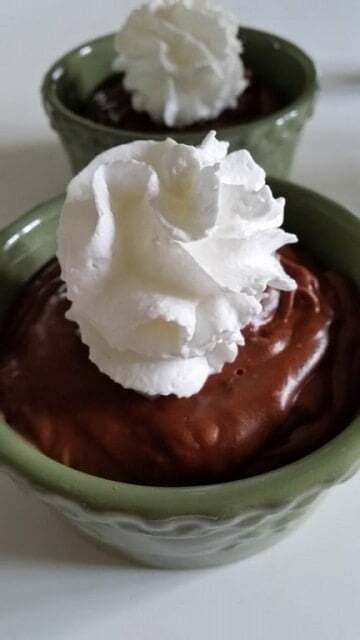 Sugar-Free Chocolate Pudding and 2 Cups of Heavy Cream. That’s it!! It is rich and yummy!! Divide pudding into ramekins. Eat warm or chill in the refrigerator. Let’s assume you are using a 1-ounce box. LOOK AT THE NUTRITIONAL LABEL. It states that the box contains 4 servings, at 6 carbohydrates for each serving. I said to use heavy whipping cream in place of the milk. For a 1 ounce box, you are supposed to use 2 cups of cold milk. Substitute heavy whipping cream in place of the milk. Now, how many carbs are in 2 cups of heavy whipping cream? There are 6.6 carbs in 1 cup. So, for 2 cups, there would be roughly 13. 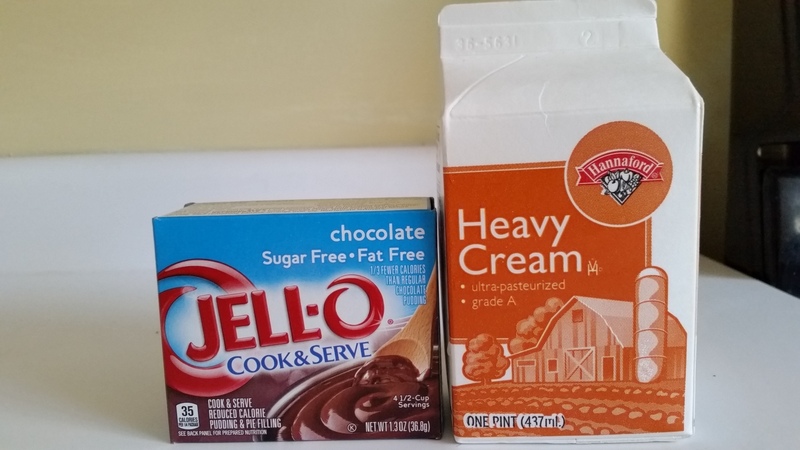 Add 13 carbs from the cream to the 24 for the WHOLE BOX of pudding. You now have a total of 37 carbs for the ENTIRE recipe. Remember, there are 4 servings of pudding per box. Divide the 37 total grams by 4 servings, and you get what? 9.25 carbs per serving. As far as fat, the entire 1-ounce box of pudding contains ZERO grams of fat. There are 175 grams for 2 cups of heavy cream. Again, there are 4 servings here if you are using a 1-ounce box, so there are roughly 43 grams of fat per serving. 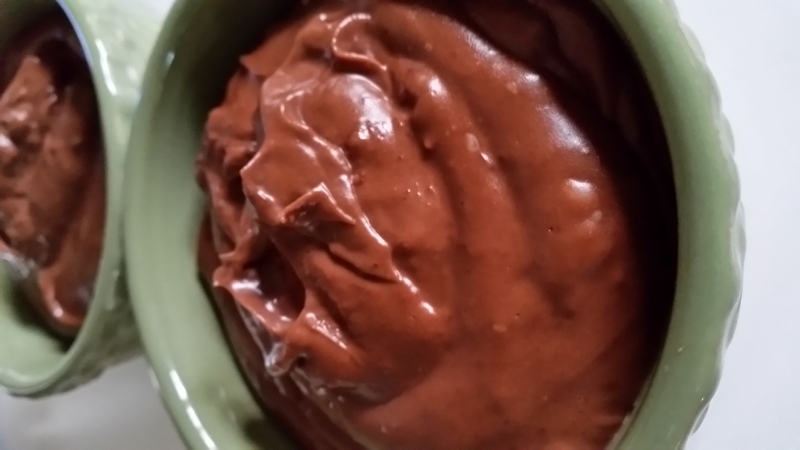 You can also use regular Jell-O Instant Pudding if you’re not watching your sugar intake. For a lighter version that’s still much fluffier than regular pudding, try using half whipping cream and half milk. Try freezing it! It makes an amazing sugar free ice-cream like dessert. Put it in a pie crust or use it in a layered dessert. Use it as a dip with vanilla wafers or graham crackers. In a saucepan over medium heat, whisk together pudding mix and cream. When the mixture has thickened, take off heat. 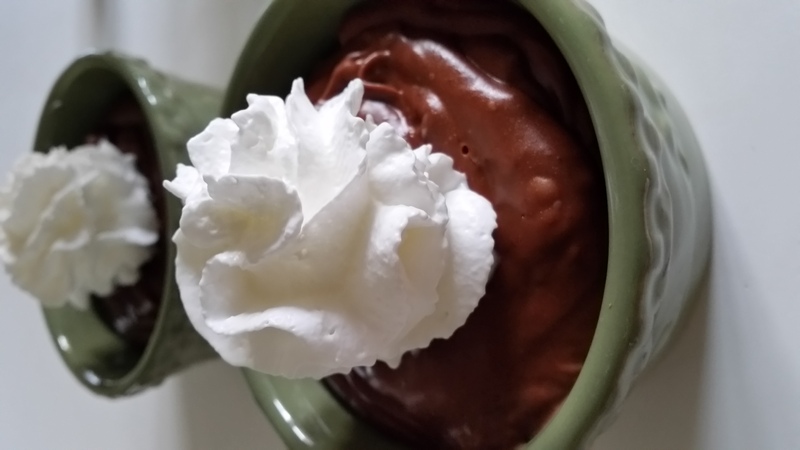 I love anything chocolate and this being low-carb is perfect since I am counting carbs and I’m also a Diabetic! how many carbs, fat, protein, and calories per serving? 4 servings? This dessert is super filling (like eating fudge), so you don’t need much. I would say it makes 10 or more servings. You could literally eat a tablespoon a day to satisfy cravings. So it would be about 3 net carbs for 10 servings. As far as fat, the entire 1-ounce box of pudding contains ZERO grams of fat. There are 175 grams for 2 cups of heavy cream. Again, there are 10 servings here if you are using a 1-ounce box, so there are roughly 4.3 grams of fat per serving. Since in the directions you say to heat in a sauce pan over medium heat but your ingredient’s say instant pudding. So which is it? Make the instant pudding according to the package directions, only substitute heavy whipping cream for the milk. 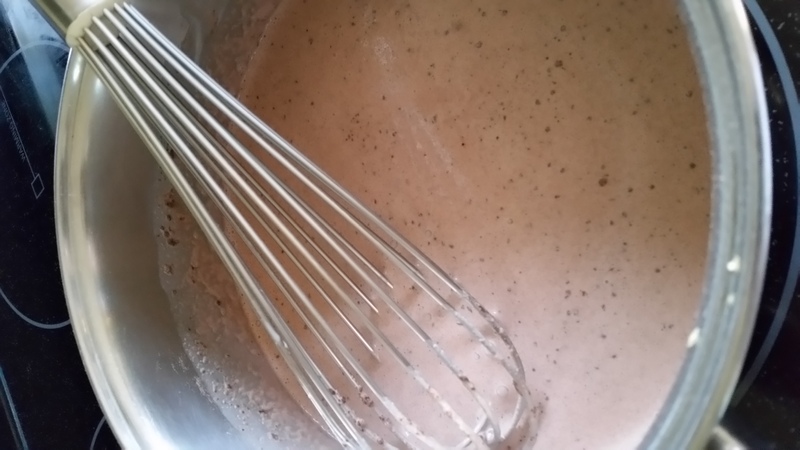 Use a hand mixer to combine the two, place the mixture in the fridge for a few minutes to thicken it up a bit, and then continue using your hand mixer until you get the consistency you like. It gets super thick and fluffy!